Hambela is a farm located in the fertile Oromia regional state in Guji Zone, between the two districts of Gedeb and Hambela, seventy-five kilometers above Yirgacheffe. It is made up of 200 hectares and includes a washing station, dry mill, drying beds, a large warehouse and guest bungalows. The “Hambela” farm and its operations are certified Organic. Ethiopian coffee culture runs deep even in the rural farmlands, and it’s entirely common to see a day’s harvest from a small private coffee garden drying in the cherry on a porch or patio. 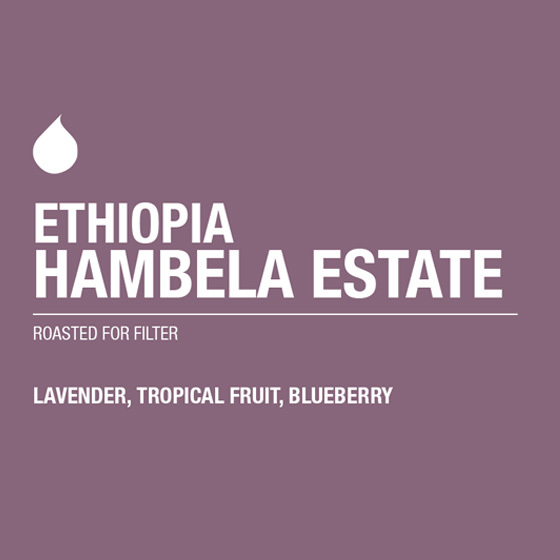 Hambela’s large scale and access to resources and land has enabled them to dry their natural dry coffee cherries on raised beds, improving consistency and quality.